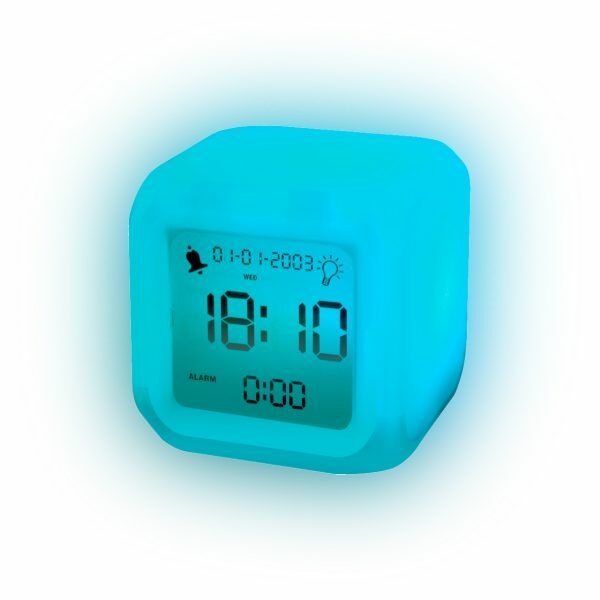 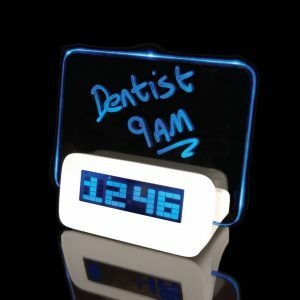 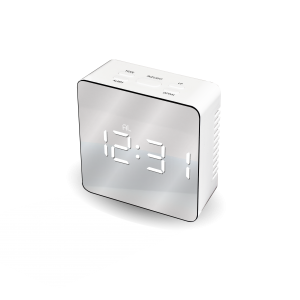 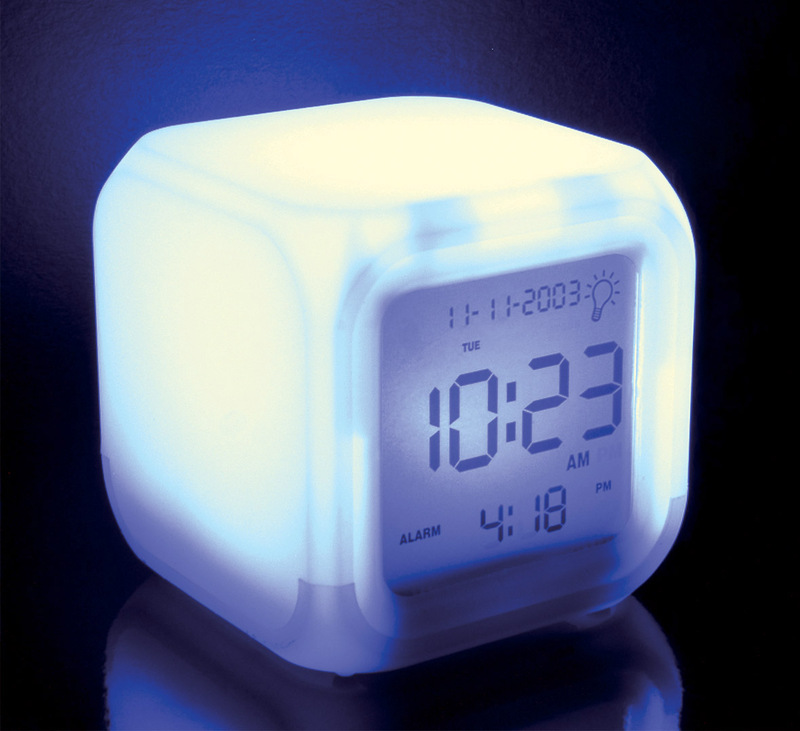 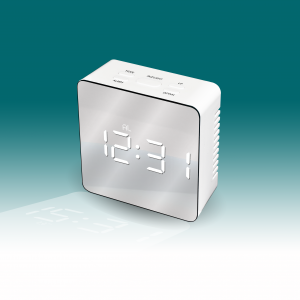 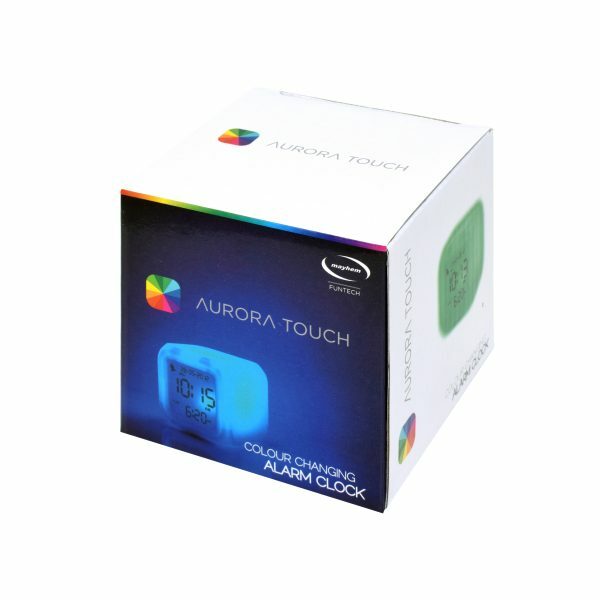 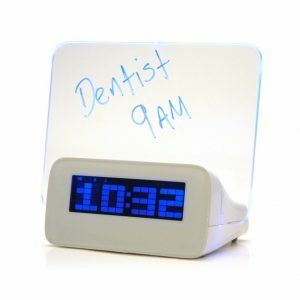 The Aurora TOUCH Colour Changing Alarm Clock glows a different colour for 30 seconds when you tap the top of the clock. 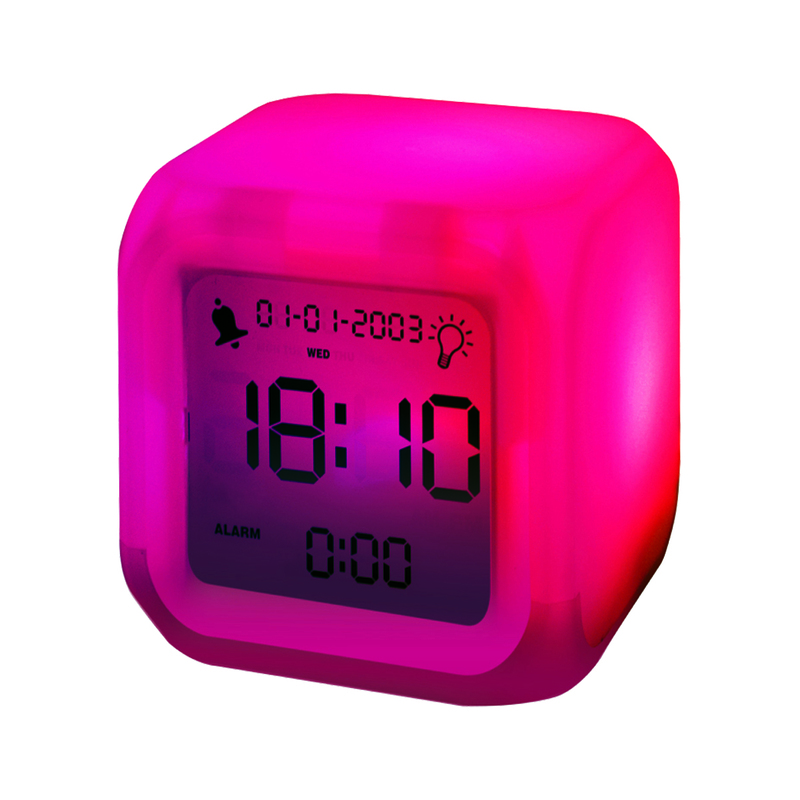 It also features a demo mode which allows the clock to scroll through its 12 different colours. Featuring a flashing and beeping alarm and snooze, soft silky rubberised finish and a large easy to read dual digital display.